We are getting down to the wire here, with just a little over a week before Christmas. It can be hard to find the perfect gift, but it doesn't have to be. With online shopping, you can find some really great items she'll love, and ones that don't cost a fortune either. First up on today's gift guide for women is a jewelry shop on Etsy called Lucky Tree Studio. 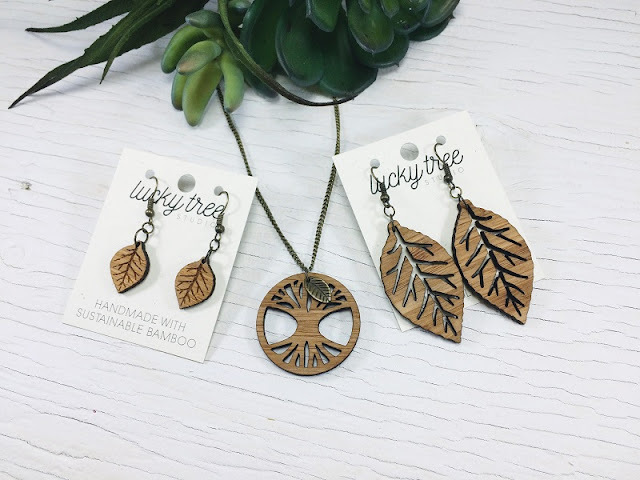 At Lucky Tree, you can find gorgeous, one of a kind bamboo jewelry. With intricate laser-cut designs, this isn't the typical wooden jewelry. Each piece is so pretty and detailed. 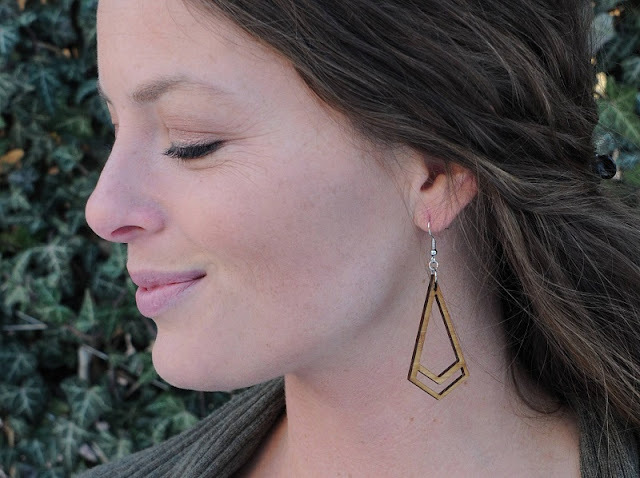 My personal favorites are the Tree of Life necklace and leaf earrings, and the Modern Chevron Kite Laser Cut Earrings pictured above. 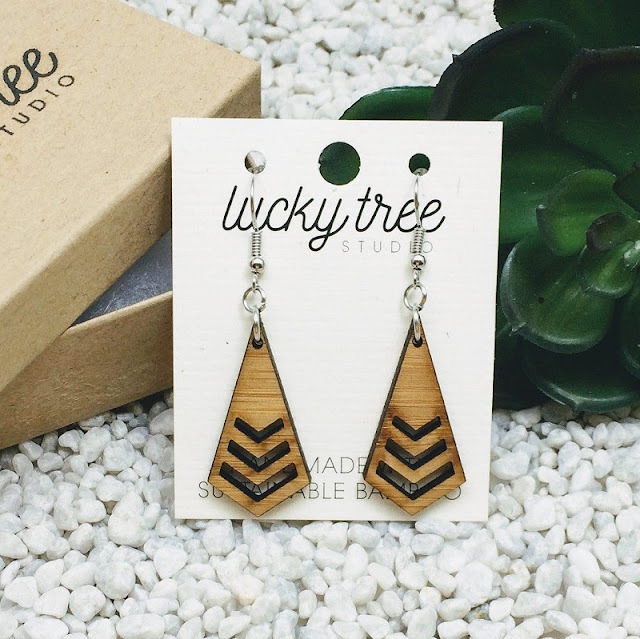 Whether you order a pair of earrings or a necklace, everything from Lucky Tree Studio comes in a gift-worthy package on a carefully designed Lucky Tree card. The pretty logo-stamped kraft boxes are perfect for gifting. Take a look at Lucky Tree Studio, and let me know in the comments below which piece is your favorite! You have until December 17th to get your items delivered in time for Christmas, and you can enjoy FREE domestic SHIPPING on orders of $30 or more thru Dec 17th, so get shopping! In addition to jewelry, a candle is always a safe bet when it comes to gifts for women. But for the holidays, any scented candle from the store won't do. I always suggest people either pair a nice candle with a pretty ornament in a decorative gift box, or to splurge on a candle that is a luxury brand. Another option however, is a candle subscription! With Wicksly, you can have a new luxury candle shipped to your recipient for just $15 per month, with free shipping. Wicksly was kind enough to send me a candle to sample, and I was so impressed by it. The packaging is so beautiful to begin with. This is a brand that really pays attention to the details; from the Wicksly printed tissue paper, to the little matchbox that comes with each candle, to the candle itself. Each month, the candle is curated to match the specific month. For December that meant Balsam Fir! It smelled like a Christmas tree before I even opened the box! 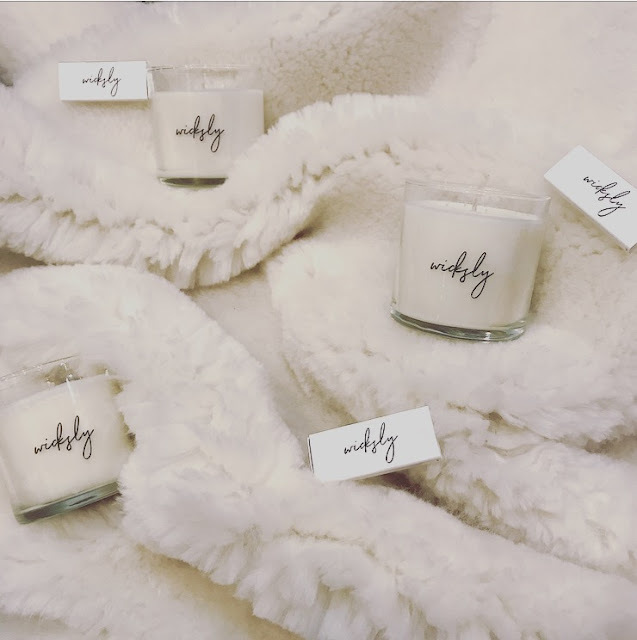 Made with soy wax, Wicksly candles are 100% non-toxic and burn for up to 40 hours. You can purchase one month at a time, or spoil someone with a 3,6, or 12-month subscription. To find out more on how a Wicksly candle subscription works, see their FAQ's here >, and view all available packages here >. Another kind of subscription gift is one I think anyone can appreciate - chocolate! I've recently reopened my chocolate and bakery shop Krisztina Clifton Confections on Etsy this December, and I'm excited to keep it open into the new year as well. 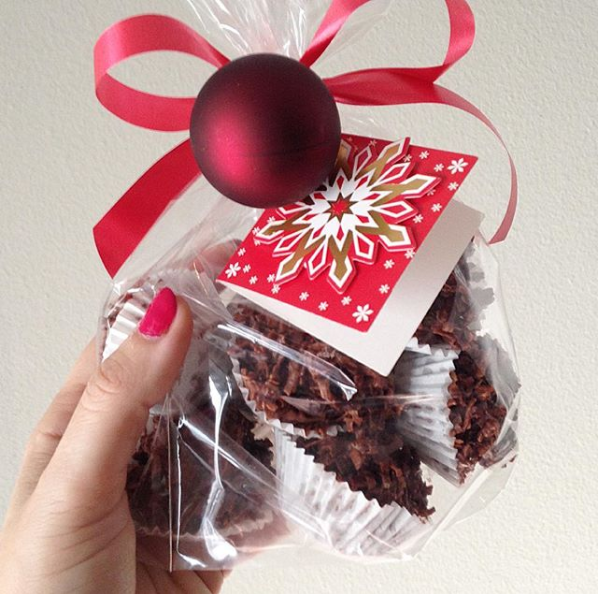 During this holidays season, I reopened the shop with my best-selling chocolates; including gourmet popcorn, chocolate bark, and assorted chocolates like coconut haystacks and s'mores cups. I'll have some special items available for Valentine's Day, and as we near the warmer months, I'll offer baked goods again, like sweet breads and cookies. 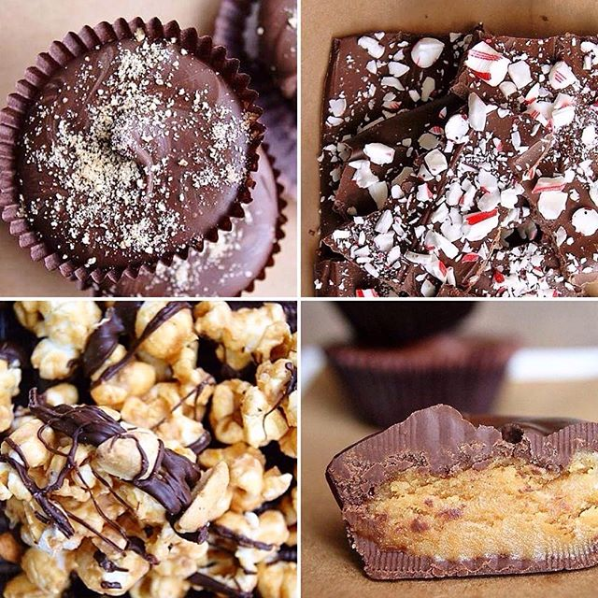 While it may be too late to get a box of chocolates shipped by Christmas, I'm currently offering three different Chocolate of the Month options, as well as gift cards. You can order a gift card as late as December 24th, so it's the perfect last-minute Christmas gift! Order a Chocolate of the Month subscription here or message me on Etsy or Instagram to order a gift card. Whether you're shopping for a special someone or a friend, these luxury gifts are the perfect way to spoil the women on your holiday shopping list! Browse each shop in the links below. Happy holidays and have a very Merry Christmas! Cool last minute gift ideas. I like the candles and the earrings are very pretty. The earrings are so fabulous dear! Really edgy style.